I am currently still working on my short (10K-15K) romantic erotica piece that I plan on submitting to Ellora's Cave before January 31st. I've got over 9K words, but it's looking like the story will end up over 10K because I need to wrap up the happily ever after. If my baby will let me, I'm going to work on that today. 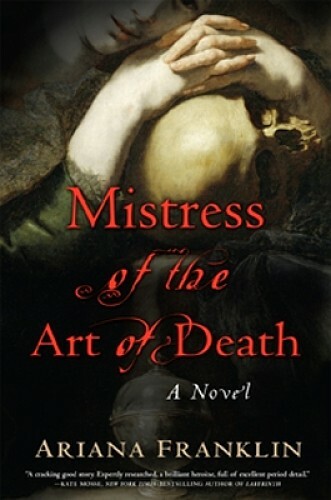 I'm reading the book "Mistress and the Art of Death" by Ariana Franklin. I've only just started it, but so far I'm finding it very enjoyable. Here is a video montage from YouTube of published authors giving their advice to aspiring writers. The main theme, it seems, is you need to both read and write a lot! Today I'll continue working on my story, and if Maureen gets back to me with suggestions on the chapters I sent her from "Snowed in With a Millionaire", I'll take care of those as well. Will have to watch this tomorrow. Interesting note, since I see Lee Child in the screen shot for the video... In May 2009, Lee Child was keynote speaker at the Westchester Library Association's annual Conference. He was very inspiring, and very funny. I'm on the WLA Board, but I didn't get to meet him in person.